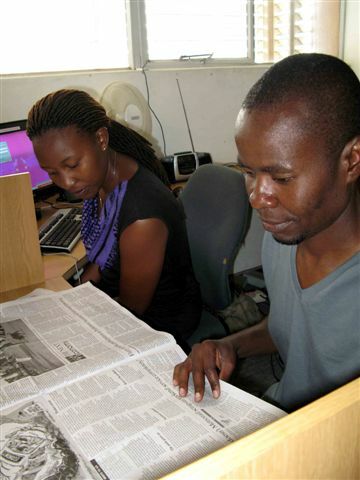 Over the past two weeks five members of Radio Dialogue in Bulawayo, Zimbabwe have been interning at Bush Radio’s studios. This training is a continuation of Bush Radio and the Friedrich Ebert Stiftung’s (FES) assistance to the development of the community radio sector in Southern Africa. The visit comes after we conducted station based training in Bulawayo. (see story here) The five interns have been placed in different departments in order to enhance the skills they already have. 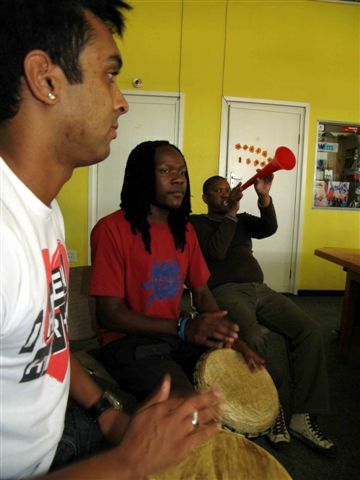 Radio Dialogue is a community radio station which aims to give people of Bulawayo a voice. At the moment it does not have a broadcasting licence but has managed to engage the people of Bulawayo in its activities. 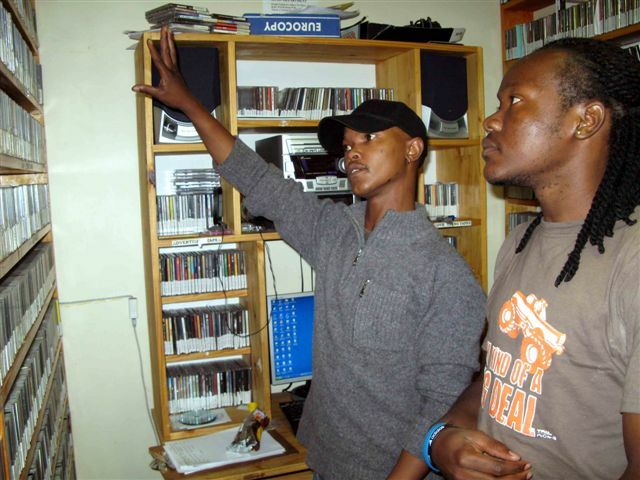 The radio station is in touch with the community through recorded broadcasts, road shows and focus group meetings which all aim to give people a platform to air their views on issues affecting them. 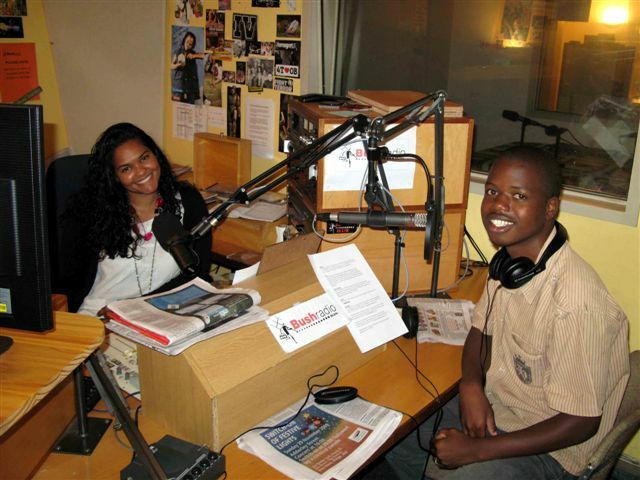 Rosie Chauke, a youth coordinator from Radio Dialogue says her duties include working on various projects. “We have activities such as debate camps, drama competitions, talk shows and public speaking competitions for those youth that are still at school,” said Chauke. Chauke, who was based in the Bush Radio Newsroom, says through this training she expecting to get a better feel for broadcasting. “It has been my greatest wish to do this and now I have finally got a chance to do this and I’m so excited, though at first I had cold feet and was very nervous,” added Chauke. She concluded that being in the newsroom is an experience, because at their station she only read the news, whereas at Bush Radio she got to do compiling and conduct interviews. Bush Radio will be conducting follow-up training again in Zimbabwe to see the progress of the interns and to see what they have implemented from their stay at our little station. *The Radio Dialogue interns can be heard on Bush Radio 89.5 FM or online between 09h00 – 16h00 and will conduct a special on-air programme on Friday the 27 November between 14h00 – 16h00.